Former Daily Pilot publisher, Tom Johnson and former Daily Pilot editor, Bill Lobdell are continuing to kick the can down the street in their pursuit of launching a new source for local news here in the land of Newport-Mesa. Last night they held a meeting of members of their Advisory Board - a group of 30 business and community leaders and others - to bring them up to speed on their plans and to solicit input as they attempt to put this new venture together. Although not all of the members of the Advisory Board were in attendance last night, as I looked around the room at those who did show up I was impressed. In addition to Johnson and Lobdell, there were a few other former Daily Pilot staffers - Tony Dodero, who recently departed after a long and illustrious career; Lana Johnson, who has joined Lobdell and Tom Johnson in their endeavor, and former (twice) Daily Pilot columnist and public relations consultant Byron de Arakal. It was clear from the presentation made by Johnson and Lobdell that they are eager to fill the void they see being created by the decline of local news outlets - specifically the Daily Pilot and the Orange County Register. I share their concern and feel our community needs and deserves a credible local news source. Although they are still tinkering with their business model, it looks like they are aiming at a 24/7/365 online presence with, perhaps, a one-day-a-week print edition. As I mentioned in an earlier posts, HERE and HERE, there are examples of this kind of a business model almost within arm's reach - San Diego and in South Orange County. The big push now is for MONEY. Johnson and Lobdell are actively seeking investors to fund their plan. They've run the numbers and have a very good idea of just what it's going to cost to launch and grow a new publication using contemporary technology combined with proven journalistic practices. Their best guess is that it's going to take a million bucks to begin this new venture. Yikes! Still, having seen their projections, that number seems realistic. Now, I certainly realize this is a tough time to be launching any kind of a business. However, with the decline and possible demise of print journalism throughout our country, the plan Johnson and Lobdell are proposing seems like a good way to perpetuate the availability of accurate and timely information in our communities. I hope they are successful. My personal preference - as I've told Johnson and Lobdell - would be for them to purchase the Daily Pilot and morph it into whatever business model seems right. I would hate to lose the Pilot and it's century of archival and cultural significance in our community. I know Johnson has been attempting to acquire the Daily Pilot from the bankrupt Tribune Company and will continue to do so. You can follow their progress on their blog, Operation Local News, and can help them kick off this very impressive plan by aiming all your wealthy friends to them. Johnson and Lobdell hope to have their plan finalized and funding available by March 1st. If that happens they will begin publishing in May. As I've said many times in the past, the Costa Mesa City Council shouldn't violate their rule about council meetings not going past midnight. That rule was implemented a few years ago because, almost invariably, decisions made after the witching hour turn out to be either hasty, ill-advised or both. And, parties interested in the agenda items that get stretched into the next day usually have gone home, depriving the council of their opinions, perspectives and passion. Last night was one of those nights, as the council decided to handle the final agenda item - the selection of commissioners - shortly after midnight. The meeting itself finishe d at 12:27, finally. As predicted HERE just before Christmas, the Costa Mesa City Council chose Colin McCarthy and Steve Mensinger from a long and impressive list of candidates for the two open slots on the Planning Commission. Even more disappointing is that, by making these selections, the council majority spit in the eyes of current incumbents Donn Hall and Eleanor Egan. Both Hall - a community activist for more than four decades, including a tour as mayor - and Egan have served this city for years and with distinction. 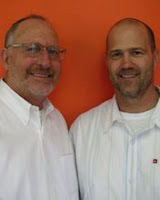 Both have been active in "westside improvement" from the earliest days. It looks like the current council majority is more than willing to cast aside loyal compatriots for the sake of future political considerations. I missed the call on the Parks and Recreation Commission. I had speculated that the council might select Rob Dickson, Jr. for one of the two positions. He was not even nominated. The council rejected nominations of athlete Brittany Koper and Eastsiders Marnie Primmer and Jeff Harlan and chose, instead, Jeff Mathews and Kim Pederson. Also not selected was incumbent Bob Graham and former commissioner Dave Stiller. Clearly, there is a "youth movement" afoot. Kim Pederson is an employee of the City of Newport Beach, as is outgoing commissioner Mark Harris, and has a long history of involvement in Costa Mesa sports programs. Jeff Mathews seems to have no recreation or park management in his background, but does have strong academic credentials and what appears - on paper, at least - to be a solid management background. That will be a very welcome addition to the commission, which has been virtually leaderless in recent months. However, since I didn't really know much about Mathews, I decided to check a little further. It seems that he was Monahan's volunteer coordinator during the past election. And, both Bever - who nominated him - and Monahan - who seconded the nomination - received $1,000 campaign contributions from Mathews last summer. I guess we now know the cash value of a Parks and Recreation Commission seat. With almost no one watching - at nearly 12:30 a.m. who would be? - Gary Monahan showed us that he's still a sneaky guy, willing to play fast and loose with the rules. At that late (early?) hour he asked the City Attorney if it was possible, at that time, to choose more candidates from this exceptional pool. One had the impression that he wanted to clean the slate and dump all the current commissioners and replace them with members from the group of applicants this time around. He was advised that he couldn't do that at this meeting because proper notice hadn't been made. One had the very clear impression that the days of the remaining three commissioners may be numbered - that the council may be asked to boot them all out and choose new folks very soon. Remember when I told you not to turn your back on these folks? This is precisely why... They will wait until almost no one is watching, then slip a "suggestion" into the works that has very significant impact on our city governance. Here's some news for you... Former Costa Mesa resident, college professor, newspaper columnist and author of "Terror in the Barrio - The Rise of the New Right in Local Government", Dr. Humberto Caspa, is returning from Bolivia soon! I announced his departure for his homeland the middle of last year, HERE. I'm sure that will make one resident, prominently featured in Dr. Caspa's book, very happy. I expect there will be a red carpet rolled out for Dr. Caspa in the north part of our city upon his return. 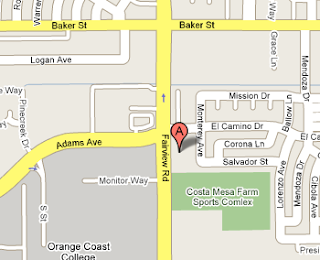 Dr. Caspa was an extremely active and vocal advocate for the Latino population in Costa Mesa. His views were found to be controversial by some, particularly those pilloried in his book. I don't know what his plans are for the future, but I do know that his activism provoked discussion of important issues that, in all likelihood, may not have otherwise taken place. Exhausted from all the inauguration hype and non-stop coverage? Tired of the constant "analysis" of the event? Are you frazzled from worrying about the economy? Are you feeling in need of a little peace and tranquility? Well, folks, you came to the right place. I have just the ticket for that tranquil interlude you so desperately seek - and it's free! The Chapman University Guitar Ensemble under the direction of Jeffrey Cogan, M.A., Associate Professor of Music at the Chapman University Conservatory of Music, will perform works of Bizet, Faure, Gershwin, Duarte and other famed composers on Sunday, Jan. 25, 2009 at the Presbyterian Church of the Covenant, 2850 Fairview Road in Costa Mesa. The free community concert begins at 4:00 p.m. 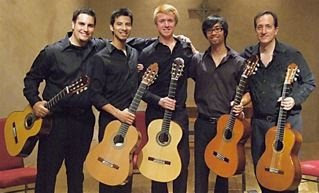 Most recently, the Chapman University Guitar Ensemble performed at the Santa Fe Guitar Festival in Santa Fe, New Mexico. In March, the ensemble will compete in the Brownsville Guitar Ensemble Competition at the University of Texas, Brownsville. Mr. Cogan is an internationally recognized Classical Guitar artist who has performed throughout Europe and the United States. In 1998, he was invited to Perigueux, France, to perform and teach at the Ecole Brittain with the acclaimed French guitarist Olivier Chassain. In 1999, Mr. Cogan performed works as diverse as the lute part of the St. John Passion with the William Hall Master Chorale and the contemporary jazz guitar in Fred Katz's Concerto for Buddy at the West Coast Jazz II festival in Newport Beach. California. During the spring and summer of 2004, Mr. Cogan was invited to adjudicate different competitions in Austria and France. He was also a featured performer in the Fabritio Caroso guitar festival in Lanuvio, Italy. In the summer of 2005, Mr. Cogan performed a concert for the VIII Festival De Musica De Guitarra, "Villa de Aranda" in Aranda de Duero, Spain. In addition to his faculty position at Chapman University, Mr. Cogan has directed the Guitar Foundation of America international guitar competition since 1987. During that time the competition has become one of the most prestigious events of its kind. This annual competition has been held in 20 different locations since 1983 including New Orleans, Charleston, Montreal, Merida and Quebec City. He is also the program director for the Orange County Guitar Circle. The Chapman University Conservatory of Music is part of the university’s College of the Performing Arts. The Conservatory of Music is one of the nation’s premier music programs and is accredited by the National Association of Schools of Music. The Conservatory has a rich tradition in the arts with many of its graduates performing with major orchestras and opera houses throughout the United States and abroad. The Conservatory of Music is internationally recognized and offers students a conservatory experience within the environment of a liberal arts university. Faculty members are nationally and internationally recognized performers, composers, and educators. If you want a little sample of what you can expect to experience at this concert, click HERE. Been feeling a little down-in-the-mouth lately because of the condition of the economy? Yeah, me, too. It seems that everywhere you turn the news is bleak. For example, I read many newspapers, both in print and online, every day. Sometimes it feels like I'm "water boarding" myself. Among those I read is the venerable Wall Street Journal - the best-written of all those I read regularly. I've been a subscriber for three decades and like it a lot better since it trimmed it's size and began to use actual, honest-to-goodness photographs instead of etchings. NO REFUGE FOUND IN "THE JOURNAL"
"Intel's Net Plunges as Demand Dries Up"
"Clock Ticks for Circuit City Sale"
"MeadWestvaco to Ax 2,000 Jobs"
"European New-Car Sales Hit 15-Year Low"
"Sanyo Sees Profit Fade; Factories, Jobs Pared"
"ASML Reports Loss As Chip Prices Drop"
"Charter Communications Fails To Make Payments"
"Minneapolis Star Seeks Chapter 11"
"Saks Will Cut Jobs, Outlays"
"U.K. Banks Hammered Amid Talks"
"Citi Logs $8.3 Billion Loss, Outlines Split"
"Clear Channel To Cut U.S. Work Force By 7%"
Pfizer Plans To Lay Off Up To 2,400 In Sales"
Is it any wonder that I begin every day by reading the Comics pages in our local newspapers? Yikes! Today reading the economic news is kind of like waiting for the proverbial "other shoe" to drop while standing beside a caterpillar. The bad news just keeps on coming, and coming and coming. I keep looking for some sign that the end is in sight, that there is light at the end of the tunnel. So far most of the pundits tell us that what's at the end of the tunnel is more tunnel - with no light in sight. Now I know there are a few of you true believers out there who are convinced that, come Wednesday - the day after his coronation, er, inauguration - our new President, Barack Obama, is going to fix everything. You think he will stop the double war we're fighting and solve our economic crisis by the end of the week. Pardon me if I'm just a little skeptical. I didn't vote for him because I think he lacks sufficient experience for this job and I don't like many of his choices for his cabinet and other leadership roles - th ey're mostly Clinton-era re-treads - but I do wish him and his team well. ANYONE elected President this time around would have his hands full, but I think it's going to be especially difficult for our rookie president - and tough on us, as a result. In the meantime, the Keystone Kops in Sacramento seemed determined to run our state right into bankruptcy and drag our cities and educational organizations down with it. We should recall the whole bunch and start over - how could we do worse? Here in our little neck of the world every business with which I've had even the most casual contact over the past couple months is on the decline. Favorite restaurants are seeing patronage drop by 50% or more in some cases. Other retail establishments are liquidating or hanging on by a thread. Our local newspaper of record, the Daily Pilot, continues to battle to stay afloat while being burdened by the bankruptcy filing of it's grandparent, The Tribune Company. Our Harbor Boulevard Of Cars looks very much like a dry river bed instead of the rushing torrent of sales tax dollars we've grown to know over the past several decades. It would be no surprise to see even more dealerships shutter their showrooms forever. It is with great trepidation that I await the mid-year budget review that's coming up within the next couple weeks. I fear the implosion of the housing market - sales prices on local homes are at 2003 levels according to one recent report - and the decline in sales tax dollars because folks are holding onto whatever discretionary funds they have in anticipation that this economic downturn is actually gaining momentum - has created a true municipal fiscal crisis. Without those sources of revenue our city is going to face some extremely difficult times ahead. I worry that our current City Council is ill-prepared to make the right decisions. For example, they've demonstrated poor fiscal judgment recently by perpetuating the RRIP program, which has cost our city a couple million dollars over the past three years at a time when that money was sorely needed. WILL LEADERS TAKE THE "EASY WAY"? I fear that our current elected leaders might take the easy way out (for them) and simply instruct the City Manager to make across the board staff reductions at some draconian level instead of permitting him and his staff to present more reasonable, professionally determined recommendations for cost savings. We'll see.. Now, get away from me, darn caterpillar! Wendy Leece's OC Public Square Blog"
Sandy Genis' La Femme Wonkita Blog"
Change Is In The Air - Look Out! Lies, Lies And More Lies!